Tv and the stand theres no remote I just use an app on my phone. 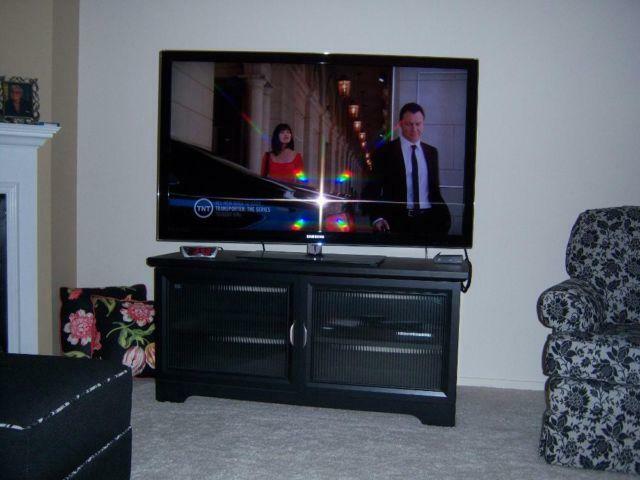 Selling my 49 Samsung Flat Screen Plasma TV with Glass TV stand, its in perfect condition and works fine. Asking 500$ OBO Will help move if need be. Text or email for more photos or information.